Today has been a fabulously uneventful day. Oh, I did a few things like watching lil’ Adie for a few hours this morning and another lil’ Lucy for an hour over lunch, and I got the computer programmed for Sunday’s 2nd hour worship, and I made Snickerdoodles (see below), but other than that….I’ve been glued to my computer, reading the Confessions of a Pioneer Woman. I can’t get enough of her and her kids and her life. She is soooo stinkin’ funny. And she’s a great cook. And she takes awesome pictures. And I can’t forget to mention that she’s from Oklahoma – Pawhuska, no less!! A mere hour from where my parents live! 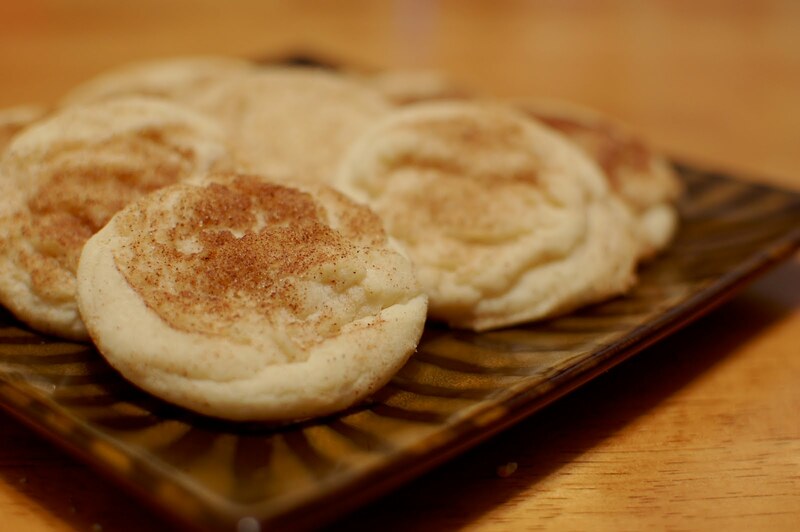 When I knew the kids were about to come home from school, I literally had peel myself away from my lovely lil’ mac and get started on the Snickerdoodles. My kids love them. Mike loves them. Anytime I ask them what kind of cookie they’d like me to make, it’s these. So, Clarky and I got a batch whipped up before the kids walked through the door. I won’t lie….they are pretty tasty! Preheat oven to 375 degrees. Cream butter, oil, sugar, and powder sugar in your mixing bowl. Add eggs and vanilla. Blend well. Add baking soda and cream of tartar and mix well again. Add flour 1/2 cup at time until you’ve added all of it. Mix well. Drop by tablespoon size onto a plate and sprinkle generously with cinnamon-sugar. Place on cookie sheet and bake for 10 minutes. Oh, and before, I forget….in case you were wondering what we had for dinner….